What and Where is the Wine Road? Founded 41 years ago, Wine Road is an association of wineries and lodgings in the Alexander, Dry Creek, and Russian River valleys of Northern Sonoma County. From its modest beginning as an organization of nine wineries, it has grown into a spirited constellation of nearly 200 wineries and 54 lodgings. Wine Road is an indispensible resource guiding visitors and locals alike through the scenic bi-ways and backroads of the three valleys, and points the way to the fine wine and exquisite cuisine of the region. 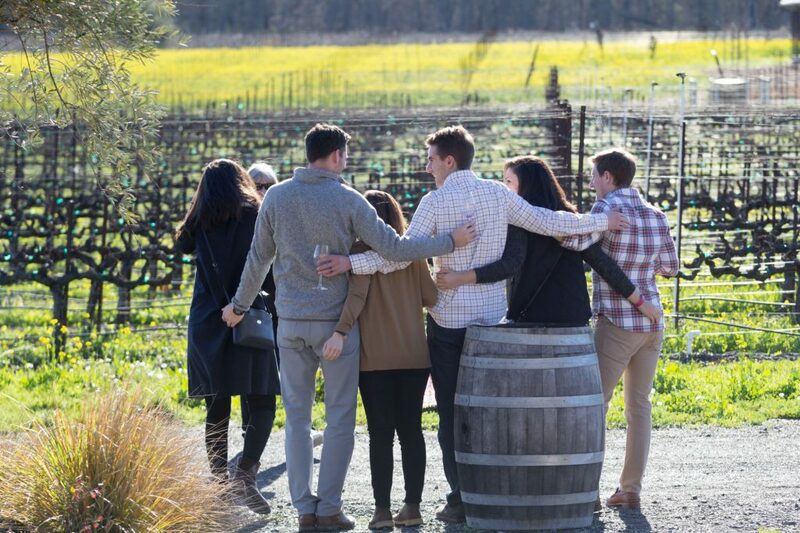 Winding through some of the most picturesque wine country in California, Wine Road takes visitors on an exciting journey of natural beauty, superb tasting experiences, and memorable personal encounters with the state’s most devoted winemakers. Even for travelers already well acquainted with California wine country, Wine Road is likely to be uncharted territory–sure to imbue a fresh sense of discovery. Along the way are some of California’s oldest wineries, run by vintners whose commitment to tending the vines and producing world-class wines, true to the appellation, runs back generations. Wine Road is also where modern, state-of-the-art wineries co-exist with small, artisanal producers for whom making wine is a way of life intertwined with the responsibilities of home and family. From Italian-style villas and French-style chateaux to boutique wineries, Wine Road provides a colorful glimpse into the world of winemaking. This is what makes traversing Wine Road a uniquely personal experience, and visitors will find their own enthusiasm for great wine reflected in the appreciation of these passionate producers. This lively and committed organization has created a myriad of programs, events, and services certain to enhance any visitor’s experience of the region. 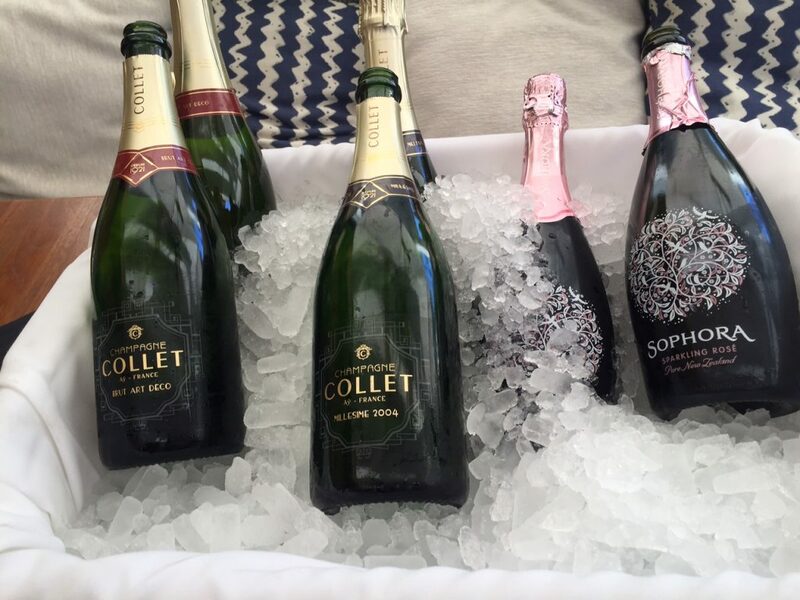 The association hosts three celebrated wine events throughout the year: Winter WINEland in January; Barrel Tasting in March; and Wine and Food Affair in November, all of which bring thousands of visitors to the region. For additional information, or to request a free map, visit www.wineroad.com, call 800.723.6336 or via e-mail at info@wineroad.com. Keep up with Wine Road on Twitter, Facebook and Instagram. CHICAGO (PRWEB) – Great news for all discerning drinkers, Tastings.com has awarded their 2017 Best of Category and Best of Show winners. Tastings.com’s beverage experts tasted through over 4,400 products in 2017 and have now announced the best of the best for your drinking pleasure. Sagatiba Preciosa Cachaca is one of the clear standouts of 2017. Silently aged for 23 years, this batch of rare Brazilian sugar cane spirit was uncovered to the delight of Tastings.com’s judges. They awarded the superb sipping cachaça a superlative 98 points. Other barrel-aged spirits joined Sagatiba at the top— Kavalan, a brand that wows connoisseurs year after year, holds 2017’s Best Whiskey accolade with their 98 point Solist Port Single Cask expression; and Grand Marnier’s luxurious Quintessence is crowned 2017’s Best Liqueur. Beer has its own royalty of 2017. 4 Hands Brewing Company in Saint Louis Missouri created the year’s Best Flavored Beer, Zelllige Moroccan Coffee Stout. Tastings.com calls the beer “An intriguing and exotically spicy Turkish bazaar of a flavored stout.” The prolific Samuel Adams released their smoky, hybrid-styled Rauchbier, Cinderbock, that topped the beer category at 97 points. It is prestigiously awarded Best Beer of 2017. Another can’t miss gem is 96-point WildCraft Cider Works’ Pinot Noir Barrel Aged Cherry Cider, a platinum-medal palate-pleaser that takes the interplay of fruit and wood to the next level. The year’s Best White Wine is Corner 103’s pretty Grenache Blanc from Alexander Valley. With a long-lasting finish of lilac and wet stone, it’s no wonder that it achieved 95 points. As for wine of the pink persuasion, the definitive Best Rose of 2017 is the insanely delicious Retrofollies’ 2016 Coteaux Varois de Provence. For those with a sweet tooth, the stylish and elegant Alea Ludendo 2013 Elba Aleatico Passito scored 95 points, topping the dessert wine category. 2017 Best Of Awards are seen in every major wine category as well as all major wine producing countries. See the complete results here. Devoted to helping consumers discover and understand the world’s best drinks, Tastings.com is proud to share their unbiased reviews with adult beverage enthusiasts everywhere. Their professional judges are esteemed members of the drinks trade and hold prestigious certifications and accolades in wine, beer, and spirits. All products are tasted blind, using proprietary methodology and software in a neutral laboratory environment. Tastings.com, powered by the Beverage Testing Institute, has been known for providing consumers the most impartial, fair reviews in the industry for 38 years. Drink like an expert and follow their motto: drink what you like, love what you drink. Visit Tastings.com before you buy. FORT WORTH, Texas (PRWEB) – The Botanical Research Institute of Texas (BRIT®) is pleased to announce the winners in its 2018 International Award of Excellence in Sustainable Winegrowing competition. The platinum medal goes to Alexander Valley Vineyards (AVV) of Healdsburg, California, based on the winery’s on-going sustainable programs that address the three elements of sustainability: environmental, economic, social – and the Vineyard’s wine taste. AVV is one of an elite group of wineries recognized as a Bay Area Green Business. They became a member of the California Sustainable Winegrowing Program in 2006 and achieved vineyard certification in 2014. AVV bottled their first wine produced from organic certified grapes in 2008, today the family organically farms over 30 acres and offers two wines from 100% California Certified Organic Farmers (CCOF) grapes. A second family vineyard will receive CCOF certification in June 2018. Other AVV sustainable initiatives include solar arrays that supply about half of the winery’s power; cover crop plantings to minimize pesticide use and control erosion; drip irrigation for precise water management; 25,000 square feet of underground, naturally cooled caves that reduce the winery’s carbon footprint; and installation of variable speed drives on all winery equipment to decrease energy waste. The awarded wine was AVV’s, 2014 Organic Cabernet Sauvignon, Single Vineyard, using certified organic grapes. 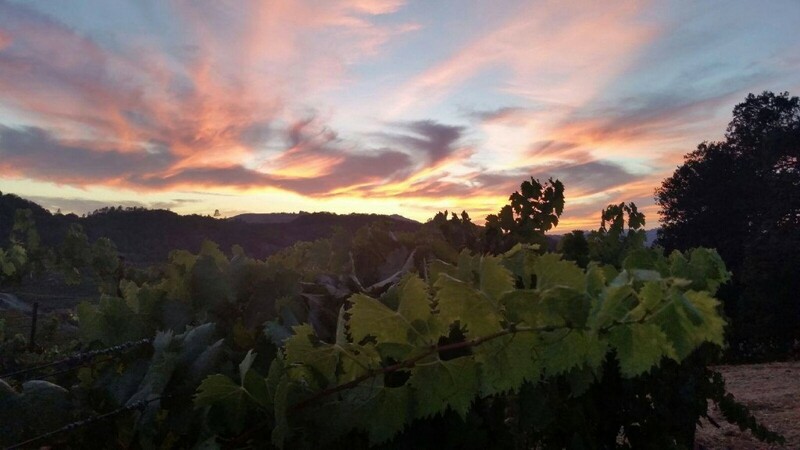 AVV is a family-owned and operated winery located in the heart of Sonoma’s Alexander Valley, on the historic property originally settled in the 19th century by Cyrus Alexander, the valley’s namesake. 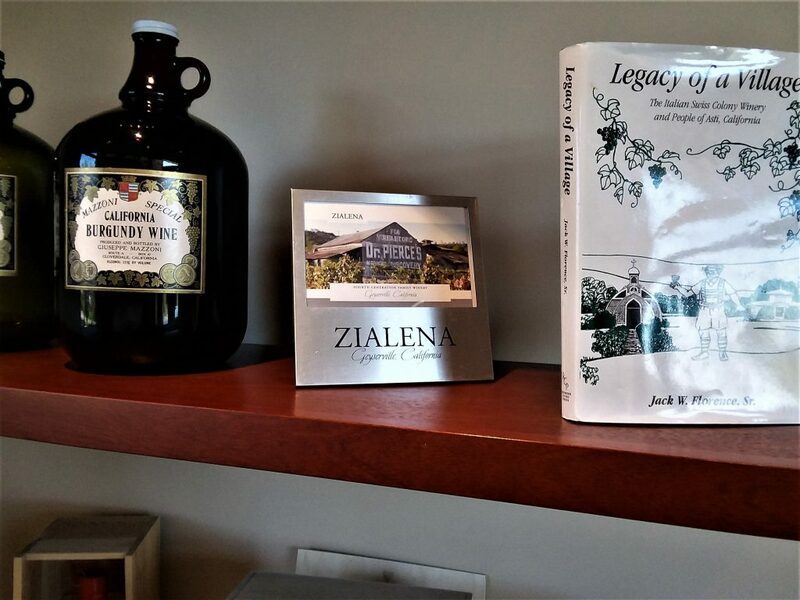 Since 1975 the Wetzel Family has been producing an array of estate wines that reflect the unique character of the property. E. & J. Gallo Winery, Modesto, California. Submitted 2015 Louis Martini Cabernet Sauvignon. Gallo receives special recognition for its corporate-wide, multi-brand sustainability programs and for the organization’s industry leadership. Bodega Catena Zapata, Mendoza, Argentina. Submitted 2014 Catena Malbec. Franciscan Estates, St. Helena, California. Submitted 2014 Cabernet Sauvignon. Peach Creek Vineyards, College Station, Texas. Submitted Sassy Lassy, semi-sweet Texas table wine made with Noble grapes. Competition for BRIT’s 2018 international award began May, 2017, when wineries submitted applications documenting their sustainable programs relating to environmental, economic, and social aspects of grape growing, and wine production along with their wine samples. When submitting for the competition, wineries provide a self-assessment of their organization’s accomplishments in sustainable winegrowing, winemaking, and ecopreneural/social responsibility practices. 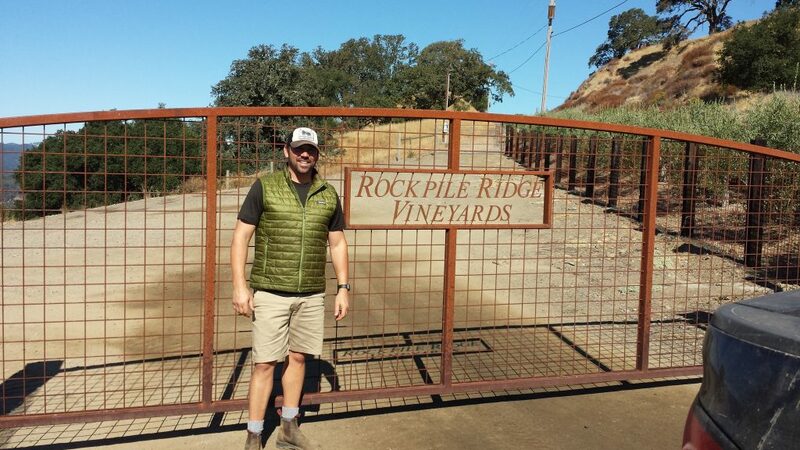 They describe their organization’s conservation efforts in the field and in operations: how waste is avoided, how it is reclaimed, and how the winery extends conservation efforts to its customers and community. They also are required to submit a bottle of wine for a tasting by the judging committee. Because the BRIT award is the only international award of its kind, it is of primary interest to wineries which care deeply about the environment and are taking a leading role in their community/region/country by implementing sustainable practices. Sustainable winegrowing programs are by nature, ongoing, so a key part of each program is its continual improvement process. As a nonprofit, international plant research and knowledge sharing organization, BRIT offers this award to help raise interest and awareness of the value plants bring to our lives and the need for biodiversity. Presentation of the platinum award to Alexander Valley Vineyards will be made in Fort Worth on Wednesday, April 11, 2018 during BRIT’s Vine to Table dinner and auction fundraising event. BRIT’s 2019 sustainable winegrowing competition begins May 1, 2018, with the competition’s Call for Entries news release and the 2019 application is posted on the BRIT website, http://www.BRIT.org/wineaward. The submission deadline is September 1, 2018. Diane and Ken Wilson now own nine wineries that fall under the umbrella of Wilson Artisan Wineries. Truthfully, one could spend a day or two or three [depending on your speed and capacity] just visiting the Wilson-owned wineries and no others and have a wonderful wine country experience, traveling through Sonoma County’s Alexander Valley, Dry Creek Valley, Russian River Valley and Valley of the Moon, as well as into Mendocino County. On our latest visit to Dry Creek Valley, Karen and I chose two – their eponymous Wilson Winery as well as a revisit to Mazzocco Sonoma. We had some good reasons to want to visit Wilson Winery. I’ve tasted some of their wines before, and was looking forward to trying the latest releases of their legendary Zinfandels as well as their (perhaps even better) Petite Sirahs. But the factor that guaranteed we were going to visit was to see our good friend Rick Fraga. Rick Fraga is the wine expert that I aspire to be. We met several years ago at a restaurant in Las Vegas and quickly bonded over wine. We always try to visit him every time we come to the Sonoma area. Now that he is wine educator at Wilson…well, that was even more of a reason for us to go there. Lest you think the owners are hands-off investors in a winery vanity project, Diane Wilson has been winemaker at Wilson Winery since its inception. Founded in the early 1990s, the property’s history goes back a lot farther than that, with the winery facility operating in a restored and modernized century-old barn. The Wilsons are also growers in the Dry Creek Valley, naming their vineyards first after their children and later ones after their parents. Wilson Winery has nine estate vineyards as well as sourcing grapes from other high quality growers. Diane’s winemaking skills were evident from the beginning as even with no formal training her wines immediately began racking up the accolades and awards, a trend that continues to this day. And she makes a lot of different wines at Wilson Winery. As I said, a lot of different wines, mostly vineyard designate Zinfandels with a few Petite Sirahs and others mixed in for good measure. The order form lists a couple dozen or so wines to choose from. 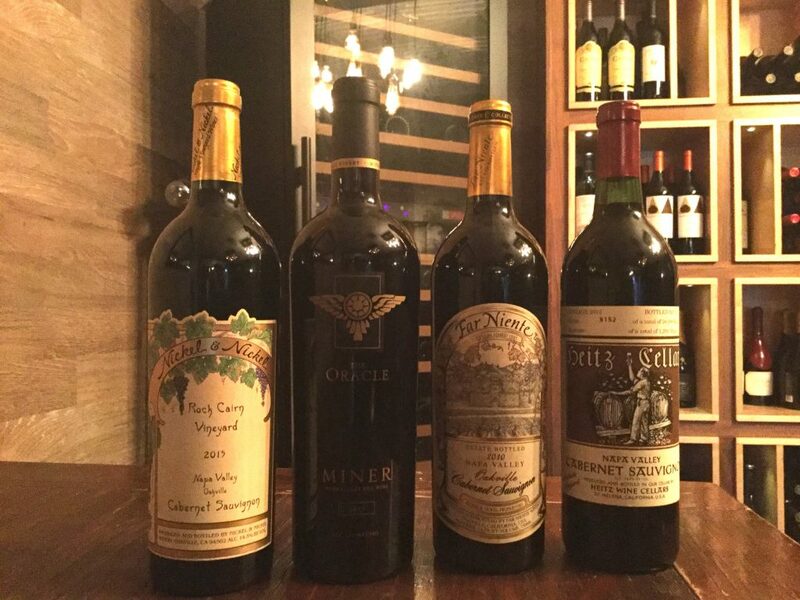 With so many delicious choices, it was really hard to pick favorites, but my notes indicate that I especially enjoyed the 2014 Botticelli Zinfandel, the 2013 Molly’s Reserve Petite Sirah and the 2013 Sydney Petite Sirah. Diane also designates certain Zinfandel as “barrel select”, four, as a matter of fact. While they’d be considered for most of us as special occasion wines, the 2013 Diane Marie Reserve and the 2013 Victoria Johannah Reserve [the two we tasted] were both amazing full-bodied representatives of Zinfandel and worthy of a place in your cellar.